Among the Boxstorm articles on this website, you will sometimes find two or more articles covering a similar topic, such as free inventory management and free inventory software. You might think they are the same thing, but when you read them you will discover that they are remarkably different from each other both in tone and content. This is another one of those articles. If you search through other articles on this site, you will find one entitled “Inventory Management App” and another one entitled “iOS Inventory App.” One approaches its topic from the perspective of asking what benefits you can expect from using this type of app while the other gives examples of the features contained in the app itself. Both articles are more than 800 words in length, which means that they do not leave many stones unturned in their detailed discussions. So why should there also be an article entitled “Inventory App”? What else is there to talk about along these same lines? It turns out that there is plenty more to say. And none of this should come across as a retread of those other two articles. There will be no need to rehash anything because we are going to forge ahead into new territory as we address the important topic of where inventory apps are going. The other two articles explore the present and past of inventory apps while this one will look to the future. Inventory apps are not going anywhere anytime soon. In fact, they are probably going to revolutionize the way companies manage their inventory, warehouses, orders, and much more. We have barely begun to see the heights that companies will be able to reach if things continue on their current trajectory. Let’s discuss five potential results of inventory apps and other technology becoming more and more popular in the business world. The demise of desktop computers has been greatly exaggerated over the past decade or so. Sure, they are not as big a growing market as they used to be, but there will always be a place for them in the business world, right? As of now, really complex inventory management software still requires a hard drive to act as a server or an anchor point to store all of its data. Cloud technology has not yet reached that critical point where data is able to be accessible offsite at the same rate as on an in-house desktop computer. A breakthrough could be right on the horizon or decades away. But there might just come a time when desktop computers are left in the dust by mobile devices and cloud-based technology. From drones flying through the air and delivering packages to robots flitting about the warehouse carrying boxes from one place to another, you can already find machines doing work in a growing number of warehouses across the globe. And that number is sure to increase in the coming years as technology gets cheaper to obtain and it becomes more ubiquitous. 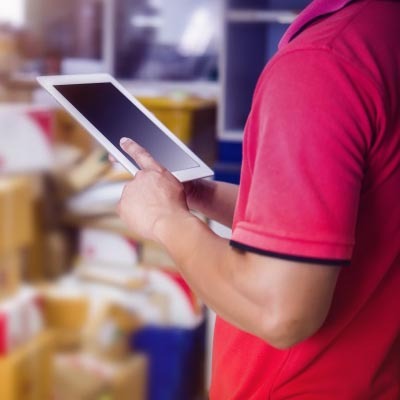 The speed and accuracy of machines and apps in the inventory management process is hard to beat, so they will continue to become more popular as they give companies a strategic advantage over the competition. Greater automation means fewer warehouse workers. Of course, humans will never be obsolete. There will still need to be technical-minded individuals on hand to provide equipment maintenance and make sure everything is running smoothly. For example, an app can organize data into reports, but there will still need to be a person there to analyze those reports and make decisions based on them. There is no denying that the future will see a drop in demand for the type of physical labor usually associated with work in the warehouse. Commensurate with the increases in automation and decreases in labor costs will be a sharp drop in overall costs in warehouse management. When data is literally at your fingertips through an inventory app and most of the formerly manual labor is being done automatically, companies will suddenly have a lot more funds freed up to devote to other areas of their operations. This will most likely lead to hiring in other areas and cost savings that they can pass on to their customers. The benefits will be far-reaching and long-lasting. Have you noticed the uptick in store closings over the past few years? It seems like there is a big shift quietly taking place right under our noses in the way shopping happens. It is likely that customers will continue to move online for many of their purchases, even replacing regular grocery store trips with a website visit. 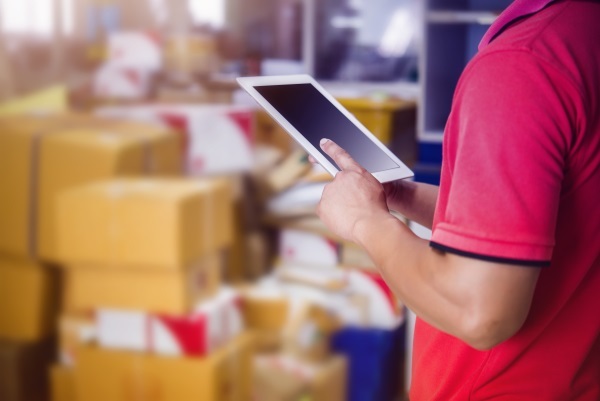 Inventory apps will come in handy during this process of realignment because managers will be able to check their inventory levels at any given time and quickly figure out when they need to reorder certain items to keep them in stock. This presents a major opportunity for companies that are willing to make the leap online. Be a part of the future by signing up for your very own free account with Boxstorm Forever Free today! Boxstorm is an online inventory management solution that is leading the way in terms of how businesses can manage their inventory in the cloud. It also offers an inventory app for Android and Apple devices, so you can start taking advantage of that tool, too.